In the land of drones Pete Namlook is royalty. His murmuring soundscapes elicit a range of reactions, none of which is wrong. 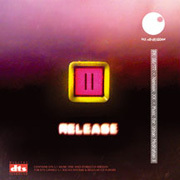 Music for Urban Meditation II (79'10") moves at the pace of thought. Without the intrusion of drums and vocals (or even melody or harmony) to provide any narrative or direction, the listener is left on their own to find meaning in this work. Namlook's reference-less sounds throb, whir and vibrate together in layers then alone in space. His synthesizers pour out roaring streams of electronic frequencies, then too quietly purring modulations. There is no beginning, middle or end to this CD - just the constant movement of sound. The overall effect can be isolating, time stretching, or a slowing of the mind to a point before sleep. This is not music to disappear in. Namlook's realizations create a sonic space within which to truly meet one's self.